Bangkok is easily one of the most famous overseas destinations for many visitors around the world and we don’t see why not. With amazing food, great shopping bargains, and exciting activities, what’s not to love? Whether you prefer a whirlwind 3D2N Bangkok stay or an extended holiday, it’s worth extending your stay with a short trip to these nearby cities just outside of Bangkok for a lil change of scenery! Known as the Europe of Asia, Khao Yai is beautiful all year round with different seasonal activities throughout the year. For nature lovers, there’s Khao Yai Natural Park where you can hike the Pa Deo Die Cliff which gives you an incredible view of the surrounding area. There’s also a vineyard for you wine lovers out there, as well as Instagram-worthy spots like the Hobbit House, Palio Khao Yai, Primo Piazza and a number of flower gardens! Just 3 hours away from Bangkok, you can get there easily via a custom tour or private car charter. A city in Thailand about 1-hour drive north of Bangkok, Ayutthaya is rich with history, ruins and grand temples. Once served as the capital of the Kingdom of Siam, many visit Ayutthaya for a look into Thailand’s ancient past via a day tour or car charter. One of the famous spots in Ayutthaya is Wat Lokayasutharam, a massive reclining Buddha covered in saffron robes. Besides that, there’s also Wat Mahathat, a Buddha head entwined in tree roots. If you’re a fan of floating markets, make sure to have lunch at the Ayutthaya Floating Market! Easily the most popular floating market in Thailand, the Damnoen Saduak Floating Market is also one of the oldest and only 1.5 hours drive away from Bangkok! A huge part of the unique traditions in Thailand, this floating market is teeming with decorated long-tail boats where you can hop aboard and float down the narrow canals. Along the waterways of Damnoen Saduak, you can enjoy the view and hunt for exotic fruits and local produce from other boats. Why not grab a bite to eat as well? We sure don’t mind having several bowls of boat noodles! Aside from fresh produce and local delicacies, you can also find a number of unique souvenirs and pick up. A popular destination amongst visitors about an hour away from Bangkok, the Maeklong Railway Market is truly a spectacle you need to experience for yourself in person. As the train passes through the market, you can witness vendors packing their goods and folding the roof before the train comes. It’s probably the closest you’ll get to a moving train, just at an arm’s length away or nearer! Located about half an hour away from a floating market, many visitors like to kill 2 birds with one stone on a Damnoen Saduak Floating Market and Maeklong Railway Market tour. A town 2.5 hours away from Bangkok in West Thailand, Kanchanaburi is known for the infamous Burma Death Railway. A train track built during WWII over the River Kwai, it’s the perfect day trip for the history buffs. You can also visit the Ancient Siam, an outdoor museum with replicas of Thailand’s significant structures. On the other hand, if you’re into the outdoors, Kanchanaburi also has a wealth of nature spots. One of the many natural parks is the Erawan National Park, which features a 7-tier waterfall with emerald pools to dip yourself in! Whatever your preference, you can plan your perfect day trip with a Kanchanaburi custom tour. For an escape from the hustle and bustle of Bangkok, take a 2-hour drive away to Pattaya for a fun-filled day. From floating markets to Muay Thai matches, Pattaya’s mini version of a Grand Canyon, waterparks and more, the choice is up to you! Splash about at the Cartoon Network Amazone waterpark with over 150 slides and attractions in 10 themed zones! You can also be a beach bum for a day in Coral Island or check out the diverse flora and fauna in Nong Nooch Tropical Garden. With a shared transfer between Pattaya and Bangkok, going for the day trip is a breeze! Not far from Bangkok, you can find another ultra-popular floating market which is the Amphawa Floating Market. Take on a cultural experience as you float along the river aboard a longtail boat and pass through numerous other boats selling everything from food to souvenirs. If you visit during the evening time, you can also bask in the picturesque view of the fireflies against the moonlit sky. Also close to other popular destinations, you can also join a tour which includes Amphawa Floating Market with the Damnoen Floating Market and Maeklong Railway Market. No one is too old to be a kid again, so why not make your way to the outskirts of Bangkok to Safari World! At Safari Park, you can get up close and personal with lions, giraffes, ostriches and more. Don’t miss out on the Feeding Show where you might get to try feeding as well! At Marine Park, on the other hand, you can ride the river cruise and check out the daily White Tiger Show. On top of all that, there’s also a live, wild, wild west Hollywood Cowboy Stunt Show! We recommend going for a day pass which includes entrance to both Safari and Marine Park for the best of both worlds. If you’re in a holiday mode, you can’t go wrong with Hua Hin, a beachside city 3 hours drive from Bangkok. A holiday resort town with an old world charm, it’s known for dreamy stretches of white sandy shore. Surrounded by a small town with resorts, guesthouses, and eateries, it’s no wonder it’s called “The City that meets the Sea”. From breathtaking national parks to lively, quirky night markets and a dreamy vineyard, there are plenty of things to do in Hua Hin. As the third largest island in Thailand, Koh Chang can be said as one of Thailand’s best-kept secrets. With crystal clear waters, white sandy beaches and lush greenery, the island is a treasure trove of natural gems. Spend the day soaking in the sun rays as you embark on a snorkelling day cruise or get the blood pumping with an invigorating jungle trekking tour. Koh Chang is definitely worth the 4.5-hour drive away from Bangkok! If you’re looking to stay longer than just a day trip, we highly recommend Khao Kho! This undiscovered misty town is an incredibly dreamy holiday destination. Located 6 hours north of Bangkok, it’s known for having views above the clouds! Klook your 5D4N tour or a short 3D2N Khao Kho tour for a fuss-free trip. Teeming with undisturbed nature and spellbinding views, make sure you read the Klook Khao Kho guide on where you can find the best lookout points. Depending on the season of your visit, you can catch seasonal gems like sunflower fields, a sea of clouds, and more. Stay connected throughout your Thailand trip with a 4G SIM Card or WiFi Device. The Bangkok intercity transfer is also an easy way to visit the nearby cities for a day trip! Make sure to also start your Thai holiday right with convenient pick ups to or from the Bangkok Suvarnabhumi Airport or Don Mueang Airport with a Klook transfer! 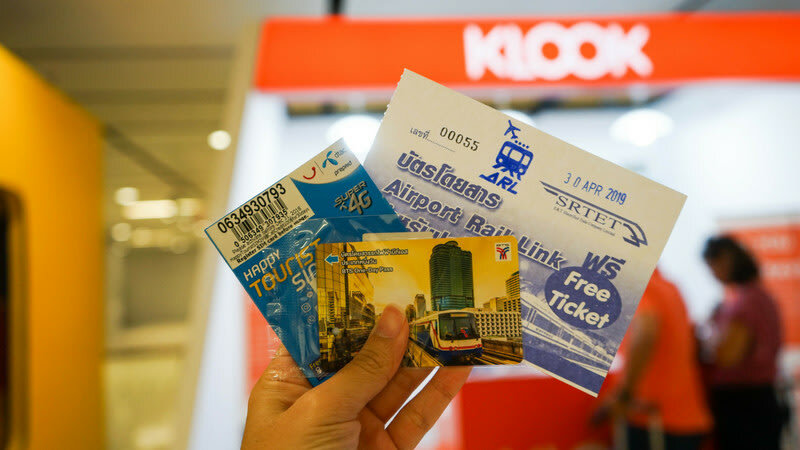 Before heading off into the city, upon landing in the Bangkok airport, be sure to pick up the following items ; 4G SIM Card, One day Bangkok Sky Train pass, airport rail link tickets and even massage vouchers. 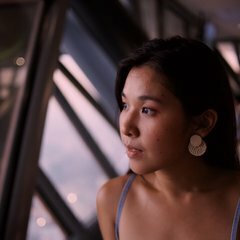 These Bangkok essentials can all be picked up in 1 place! Read on to find out more! 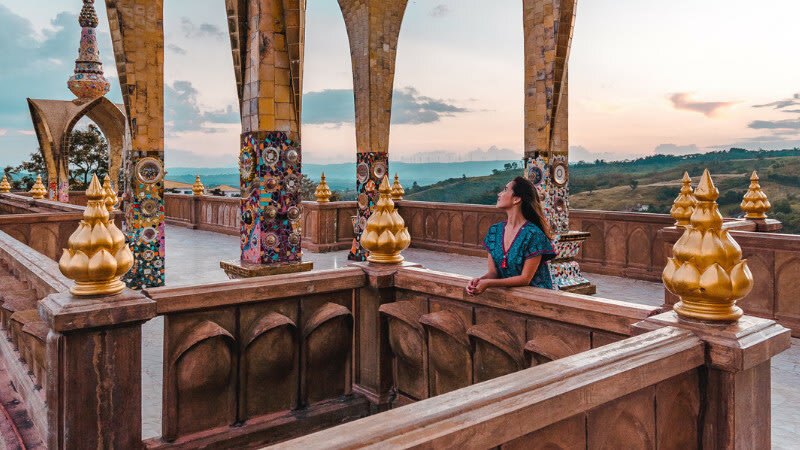 Home to some of the most beautiful temples in Thailand, Khao Kho is the perfect getaway from the city for those looking to be one with nature. [Insider Guide] SEA LIFE Bangkok Ocean World - 45% OFF! 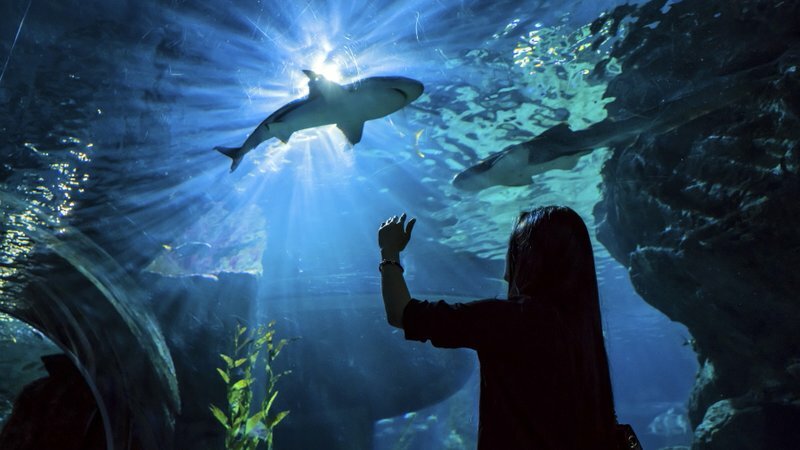 Just beneath Bangkok’s popular shopping mall, Siam Paragon, you will find SEA LIFE Bangkok Ocean World which is one of the world's largest aquarium!